■ Port site recurrence of malignancy is a recognized entity that carries a poor prognosis. ■ Work on basic science, prevention, and technique refinement has been performed and is ongoing. ■ Implantation of malignant cells into the port site wound are likely secondary to primary tumor characteristics, traumatic tissue handling, slipping or leaking trocars, unrecognized metastases or contaminated ascites, and poor tissue retrieval or extraction techniques. 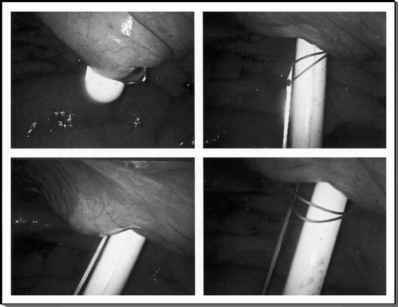 ■ Preventive techniques including radiographic staging, surgical expertise, trocar fixation, careful tissue handling, minimization of abdominal wall or peritoneal trauma, tissue isolation and extraction, and peritoneal closure are paramount. ■ Future peritoneal or trocar-site cytotoxic or immunomodulating irrigants may prove beneficial and are under investigation.